Content marketing has risen to the forefront in recent years as an important tool (if not the most important) in the nonprofit communication toolbox. It’s about creating great content on your blog, through social media messaging, email, quarterly and annual reports, case studies, whitepapers, etc. At its core, content marketing is about communicating wisely with your supporters. The nonprofit, social enterprise or organization is providing value by creating and sharing information, innovative ideas, and insights that makes your supporter smarter and in the know. You become a resource. The result, much of the time, is that you earn the trust and loyalty of your supporters and donors. You no longer interrupt them with “messaging” but invite them into a conversation they find value in, that resonates, that they deem worthy of sharing with others, that makes them come back and ultimately invest in you. The issue with creating great content is that often change-makers and nonprofit leaders are unsure about how to activate the most powerful resource they have: their intellectual capital. Nonprofits can be treasure troves of insights, experience and expertise, just waiting to be unleashed and shared with the world, but often the best of ideas and expertise lies dormant within the walls of an organization. There are many reasons why organizations keep their most valuable thoughts and findings internal. I call it the Readiness Dance. People will say, “Our data isn’t completely ready yet – we’re not 100 percent clear internally on our direction with this project,” or something similar. While I completely advocate for presenting breakthrough insights that are research-based and clearly thought out — in fact, that is the essence of true thought leadership — very often it’s more about that “readiness” variable. It’s less about how analyzed the data is and more about how comfortable and confident we are in sharing our ideas and insights with the world. Thought leadership is one of the most effective and least expensive ways an organization can build awareness of their cause and influence the communities they need to reach. When nonprofits hone in on their years of experience, research, collaborations and discoveries, they can advance their mission by using those same valuable thoughts and insights to lead. Many people call this thought leadership, and I’d like to see more organizations build their capacity to lead with their thinking. Especially for smaller to medium-sized nonprofits, thought leadership can be one of the most effective and least expensive ways an organization can build awareness of their cause and support for their ideas and programs, and influence the communities they need to reach, including decision makers, policy makers and donors. By harnessing the power of their collective insights, an organization can shape its thought leadership to inspire and move its supporters to action. 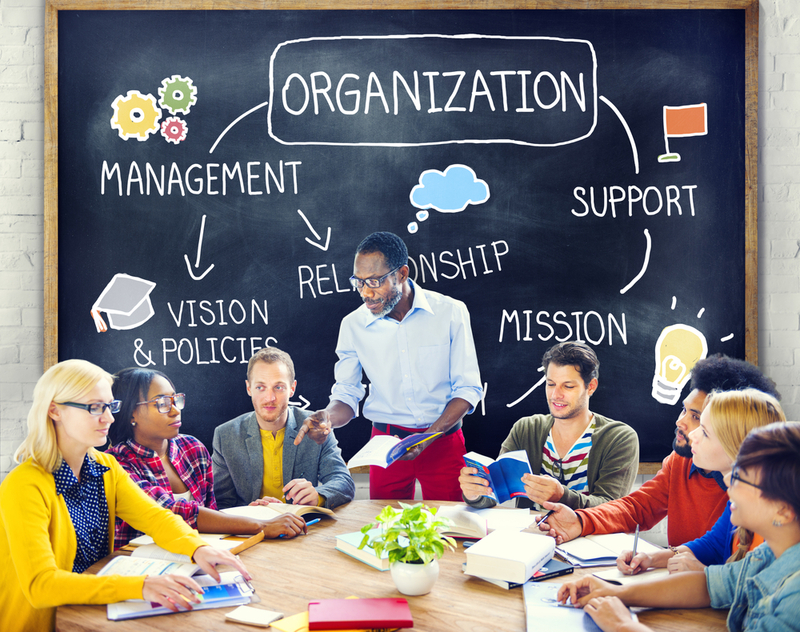 While building a thought leadership program for a nonprofit should be thought of as an organization development exercise and not just a communications/PR job, communications teams often and appropriately lead it. Below is a short primer to help you get the conversation started with your team. I recommend getting your group together around breakfast (or Google Hangout!) one morning and running them through this little primer. I promise it will get the conversation started and make for an interesting talk about how you approach your work and the insights and ideas that lie just below the surface. Every big idea starts with a vision. It has a strong viewpoint and brings new insights and problem solving to an issue. Ask yourself what original, innovative and valuable perspective you and your organization bring to the table. What do you want to achieve from it? Effective thought leadership programs are an organizational development function, not just a public relations function. Powerful thought leadership campaigns need to be embedded into the culture of an organization to be truly successful. Teams need to be on board with sharing those ideas and insights with the world. They are your greatest ambassadors. Does your culture support that? If you encounter resistance, ask them what about it makes them uncomfortable? Concentrate on telling one focused and clear story and communicate it using channels you know your audience engages with. Social media, online communities, associations, traditional media and speaking events like panels and conferences are all fair game. People don’t like to be sold things, for the most part — even when what you’re selling is a noble and brilliant cause. That said, they do buy into solutions, expertise and problem solving. Share your insights. Spread your idea. Offer guidance and people will follow. Powerful thought leadership can inspire people to act. Whatever your idea is, make sure that it is actionable. What do you want people to do? Be brave. Ask for what you want. What are some of the ways your team is leading the conversation on the issues that drive your cause? I’d love to hear some examples. If you’re not quite there yet, I would love to hear what some of the barriers are that you’ve encountered.Caroline Avakian, Socialbrite’s Managing Partner, is a global development communications strategist in the New York City area with a focus on strategic communications, technology, and innovation. Contact Caroline by email, see her profile page, visit her website, follow her on Twitter and Google Plus or leave a comment.